Each topic is discussed in a way that is easy to understand and apply, ensuring that you are prepared for class as well as for your future career. Theory, hardware, instructions, programming, installation, startup, and troubleshooting are discussed in detail. In addition, supplementary programming examples utilizing the PLC instructions in the text give you a better understanding of the various instructions and how they can be combined to create simple yet effective control logic solutions for today's world. 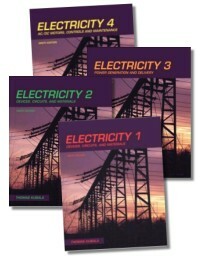 This text is designed to help readers understand the various communication schemes that are used to pass or exchange information between the PLC and the various control components and control systems. 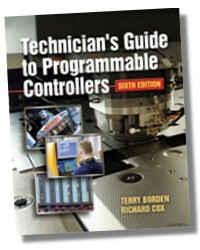 The chapter entitled "PLC Programming Examples" encourages application of concepts by giving readers specific examples of PLC programming code and logic utilizing many of the instructions covered in previous chapters. Numerous and varied troubleshooting techniques round out the all-inclusive introduction to PLC installation, programming, and maintenance. This text has been updated to provide detailed programming information and examples on Allen-Bradley ControlLogix family of PLCs. Chapters on relevant topics such as "Sequential Function Chart Programming," "Function Block Programming," and "Structured Text Programming" are now included. A new chapter, "Alarm & Event Programming," gives readers an understanding of the instructions and PLC programming code that can be used to provide guidance on executing this all important task. 1. What is a Programmable Logic Controller (PLC)? 2. Understanding the Input/Output (I/O) Section. 6. Understanding and Using Ladder Diagrams. 15. Word and Array (file) Instructions. 17. Process Control Signals, Scaling, and PID Instructions. 19. Sequential Function Chart Programming. 21. Alarm and Event Programming. 23. Start Up and Troubleshooting. Terry Borden is the Chairman of the Electrical Maintenance and Automation Department at Spokane Community College in Spokane, Washington. Mr. Borden holds a degree in Industrial Automation and Robotics. Mr. Borden worked as a control engineer, and was a partner in Applied Solutions, LLC prior to accepting his position at Spokane Community College. Richard A. Cox is the Executive Director of COXCO Training and Consulting in Spokane, Washington and is a retired member of the Electrical/Robotics Department at Spokane Community College. He holds a Bachelor of Science degree from the University of the State of New York, a Master of Science degree from Eastern Washington University, and is also a retired member of the International Brotherhood of Electrical Workers, Local 73. Updated to reflect recent industry developments, this edition features practical information on Rockwell Automation's SLC 500 family of PLCs and includes a no-nonsense introduction to RSLogix software and the new ControlLogix PLC.